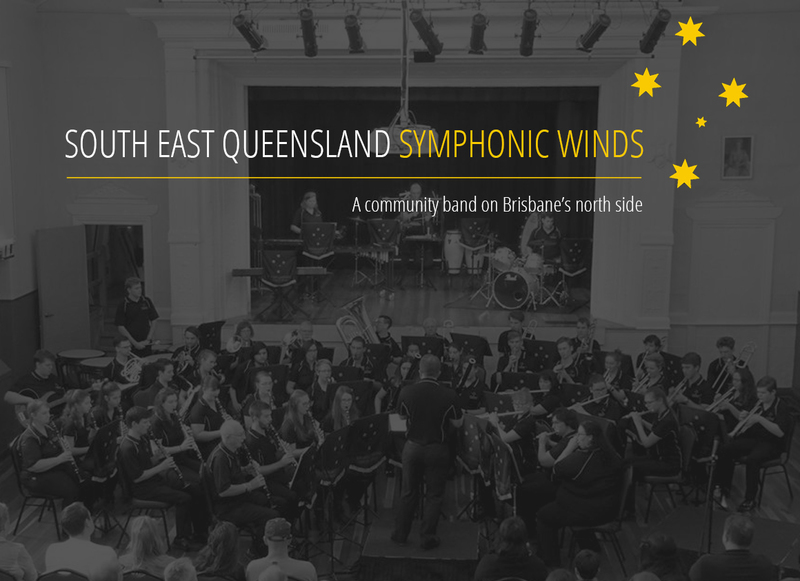 The South East Queensland Symphonic Winds (SEQSW) is a community concert band located at Bracken Ridge on Brisbane’s north side. We are a diverse group of musicians who share a passion for playing music and entertaining others. Our goal is to create an environment where players can improve their skills and interact with other musicians in a friendly and fun environment. With a mixture of contemporary and classical scores, we offer players exposure to a broad range of musical styles from light classical through to jazz, rock, and popular Broadway and movie themes. We perform regularly throughout the year at local community events including the Brisbane City Council Bands in Parks program, Bracken Ridge Lions’ Train Days, and the Sandgate Uniting Church Christmas Lights Festival. Love playing great music with other talented musicians? Come along and introduce yourself! We currently have vacancies for French horn, trombone and tuba. However, if you play another instrument and are interested in joining, please get in touch with us to discuss.